On the 4th of July, Americans all over the nation will be celebrating Independence Day. This day is the celebration of the birth of our country. This is the day we became free to live as we choose. There is no more beautiful place or more festive event to celebrate than Pleasanton, CA. Pleasanton is just under 39 miles from the beautiful city of San Francisco. This affluent city offers residents the best in life. Luxury apartments in Pleasanton are available with all the features and amenities you could ever want. Pleasanton offers a peaceful home life with game lawns, state of the art fitness areas, the latest in appliances and floor plans and private balconies or patios. Pleasanton was incorporated in 1894 and the area was as desirable then as it is now. As late as 2014, Pleasanton made the USA Today list of the 50 best places to live in America. Citizens of Pleasanton have a strong sense of country and community. The chic upper-class residents enjoy elegance in a laid-back setting. This describes the 4th of July Fireworks Spectacular perfectly. This celebration is presented by Fremont Bank at the Alameda County Fair. Please note the gate hours. There is a strict time set for when tickets can no longer be sold and other rules you must adhere to. The fireworks show promises to live up to its name. The non-stop fireworks display is set to music performed by the Oakland Symphony. The show is set to begin at 9:30 PM but before it begins a video honoring hometown heroes will be shown. The best seating will be at the Budweiser Grandstand, and buying your tickets in advance is advised. Many people will be able to see the display from their own apartments and they are asked to stay away from the area if they do not intend to go in, in order to cut down on traffic. Maybe you want to celebrate at another famous Bay area Festival. 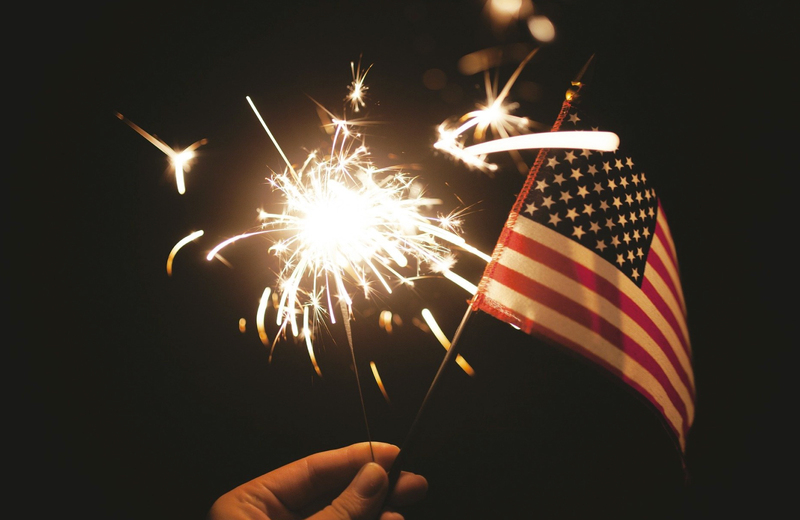 If you time it right, you might spend the day having fun in another local location and make it back to your apartment in Pleasanton in time to watch the fireworks from your balcony. If this sounds like fun to you, check out the fun and festivities at the Berkeley Marina for the 4th of July. Recital of the Declaration of Independence, presented by a Sons Of Liberty member. There is a wide range of food available from gourmet to old fashioned “fair food” like corn dogs. Berkeley Marina is only about 33 miles from Pleasanton. For more information on the celebration click here. Alameda Mayor’s July 4th Parade R.A.C.E. Another very popular 4th of July event in the Bay area is the Alameda Mayor’s July 4th Parade. You can sign up to participate in the parade or just come to celebrate our nation’s freedom in a time-honored way, by watching the parade. The first 300 people who register for the R.A.C.E. will receive a free tee shirt. Registration online is available. The parade starts promptly at 10:00 AM. Participants will begin lining up at around 8:00 AM. Visit their website for a list of rules and legal reminders meant to keep everyone safe. There will be walkers and operators of various modes of transportation. There will be vendors and it is important that everyone obey the rules of the road. Young children will be in the area and it is the job of every adult to keep them safe. Following the parade, you are invited to Pier 3, which is located next to the Hornet Museum for a celebration to honor the United States Coast Guard. This program begins at noon and ends at 4:00 PM. The Food Truck Mafia will be available. This is a perfect opportunity to grab some lunch before going to the next celebration of the day. There will be activities for the children and the winners of the Parade will be made public. As you can see, Pleasanton is centrally located and easily accessible to any Bay area. While living in a luxury Pleasanton apartment, you are close enough to visit San Francisco or Oakland and then retreat to your elegant and friendly Pleasanton home. You can enjoy the party scenes of the big city, the beautiful beaches and then come home to your personal paradise. People in Pleasanton have always lived affluently. They work hard and earned the good life and they will (and should not) settle for nothing less. Maybe that is another reason to celebrate America and the freedoms afforded to us. This is our public voice of support.